Simple, stress-free banking, from a team you can trust. Banking should be simple and stress free—that’s the SAFE Federal Credit Union philosophy. We minimize hassles and headaches for our members with secure mobile banking technology, in-house financial advisors, and more, giving you time to focus on what really matters. Take advantage of 24-hour online account access through our SAFENET portal. Check your balance, transfer funds, pay loans, and more using this fast, convenient, secure service. Send and receive money, access your account from a downloadable Smartphone app, and make fast, secure digital deposits in the blink of an eye with our mobile account tools. Need budgeting advice? Want a strategy to pay off that loan? Got questions about your 401(k)? 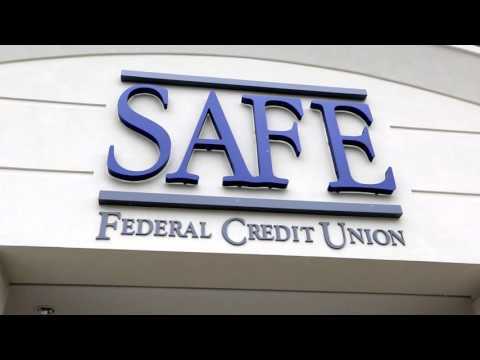 Take advantage of SAFE’s free in-house financial counseling services. Bid online for cars at auction and enjoy fast, on-the-spot financing at participating dealerships, along a host of other benefits—all through SAFE’s vehicle buying services. Our partners at LifeHelp and TruStage offer the expertise that SAFE members need to make informed financial decisions about their life and auto insurance policies. Protect yourself from identity theft with SAFE’s comprehensive financial security guides, available to all users free of charge.